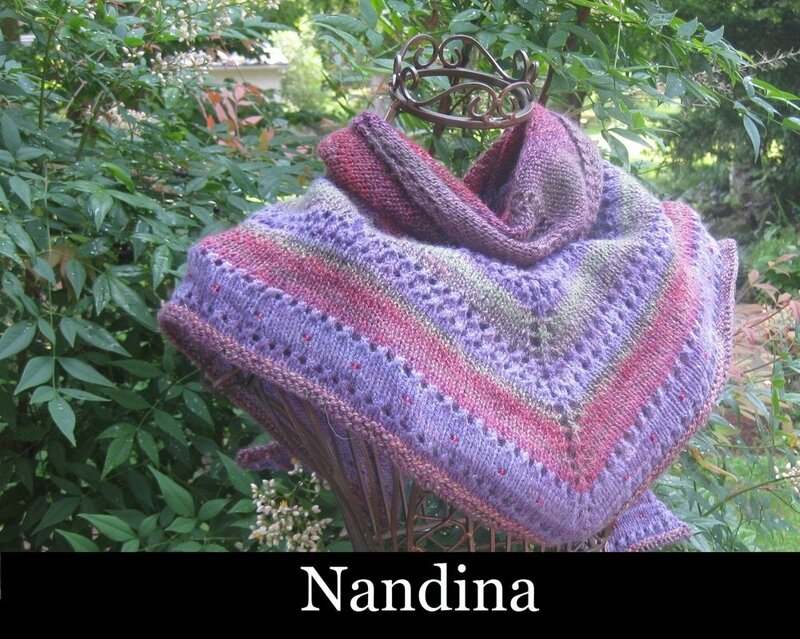 Knits up fast with some color changes and stitches that keep your interest without becoming tedious. Bead work is optional but does enhance the overall project. Yarn Overs are done on the (WS) and knitted that give the YO row a raised popcorn type look. Named Nandina due to the look of the YO as they resemble the little berries produced by this bush.